The Meaning of Maggie by Megan Jean Sovern isn’t your average family fiction. In it, 11-year old Maggie Mayfield is struggling with some of the normal causes of pre-teen angst, getting good grades, wanting the affections of a cute boy, avoiding torment by her boy-crazy, fashionista older sisters. As a reader, this book hooked me from the start. I couldn’t help but open my heart to Maggie. Her endearing blend of innocence and burgeoning maturity as well as her diligence and work ethic made me wish I was her teacher. Her penchant for sweets and her love of reading made me wish I was her friend. As a writer and a writing teacher, I found this book rife with opportunities to study some high-level character work. 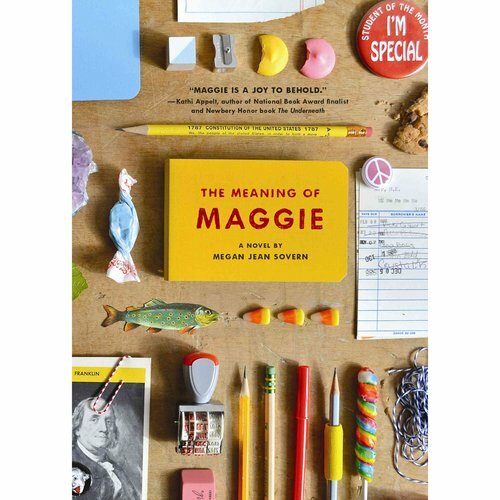 I have a suspicion that Sovern spent a great deal of time getting to know Maggie both before she began to write the book and over the course of its development. I admit, I was at first taken aback by Maggie’s inconsistencies. I couldn’t figure out who this character was, and I wanted to reach out to the author, to tell her that Maggie isn’t believable – that she is too inconsistent. But then, I realized that Maggie is a complex character – at turns surprisingly immature and at others wise beyond her years. The reader is sometimes confused about who Maggie is because Maggie herself is confused. She is at that developmental cusp where she is getting ready to leave childhood behind and enter into the next phase. She seems reluctant to move forward. At one particularly poignant moment, after her sister tells her she’s not a little kid anymore, Maggie shouts, “YES.I.AM.” Once I realized my confusion came from Maggie’s confusion, I realized just how carefully crafted a character she is. Alternately, perhaps Maggie would like to skip the teenage years altogether, thus avoiding the make out, lip-gloss fueled existence of her sisters and move right into young adulthood where she can persue her plans to become President of the United States. In either case, writers seeking to develop complex characters who are struggling with their own sense of identity could really benefit from studying this book. This book is also chock-full of possibilities for teaching social issues. Not only is Maggie’s father struggling with a debilitating disease, the name of which is revealed about two-thirds of the way through, but the family is struggling with other issues as well. Dad has lost his job as an attendant at the airport, so Maggie’s mother has taken a position as a head housekeeper for an upscale hotel. Maggie never says that her family is struggling with money. That idea likely wouldn’t even occur to her. But the implication is there. Writers using this book as a mentor text could study ways Sovern weaves social issues into the fabric of the story without really naming them. One lucky Two Writing Teachers reader will win a copy of The Meaning of Maggie and a Maggie for President button. I believe after you read the book, you will want to wear your button proudly. I know I do! Just leave a comment in the comment section sometime before 11:59 on Wednesday, April 30, and you will be entered to win (US and Canada residents only). The Meaning of Maggie will be released on May 6. In the meantime, check out this nifty promo video here. Congratulations to Pat Neilson who won the Giveaway! Also thank you everyone for your thoughtful comments about the book. I hope Maggie will be as endearing to you as she was to me. I agree with so many who said that this book sounds like a refreshing change from other YA fare and a great read for families and classes talking about social issues. Enjoy! We are thinking about starting school wide book-a-month with social themes next year. This might be a good addition to our title list. Love the thought of you opening your heart to Maggie. You makes want to join in and know this character as one of our own. Thanks. Looks like an interesting read my kids would enjoy hearing/reading! That was an excellent review! It sounds like a wonderful book for students . . . but also one that I could learn from – you can’t beat that! This sounds like a lovely book! I just love this writing community because I am constantly adding new books to my to read list and there is nothing better than a long to read list! Sounds like a fantastic book for some readers I know. Can’t wait to put it on my reading list so I can start recommending it to students! This book sounds wonderful! I will be adding it to my summer reading list. I can already see the students who would like to read this book! I heard about this book at a writing retreat. Can’t wait until it’s release. I know my middle school reading students would love this book. They will surely be able to relate to Maggie because they share many of the same issues. I am all pumped up to read this book as a reading and writing teacher in fifth grade and to share it with some amazing students. I am hearing such great things about this book. I cannot wait to get my hands on this. I am really looking forward to this book! The trailer is fantastic! As the mother of two teenage girls, this book sounds like our house. Girls struggling to find their identity; one moment sounding and feeling in charge of the world, the next back to being a little kid. This book is definitely going on my summer reading list. This sounds very interesting. I can think of several students (in addition to myself) who might like this. I’m always looking for ways to help illuminate more complex character development and writing about social issues. Congratulations Pat, you won the giveaway! You will get a copy of The Meaning a Maggie and a Maggie for President button. Please send me your address to annagcockerilleliteracy@gmail.com. Happy Reading! This book sounds wonderful. I am definitely adding it to my reading list. It sounds like this would be an incredibly valuable addition to a class library or recommended reading list from both a literary and a social perspective. Thanks for sharing your review! I can’t wait to get to know Maggie! I wish I had a book like this when I was trying to figure out similar issues at a tough time in my life and there are certainly many struggling with issues today. I’m always delighted to find a new and well written book about this developmental time in a child’s life. Sounds like this is may be one of those special books. Looking forward to getting my hands on a copy. Thanks for the review. This sounds like a book my G/T students could have some deep conversations about. I will make this my first summer read and hope others might suggest some similar titles for sixth grade Gifted and Talented students’ summer reading lists. I am tiring of dystopian lit and also need to be very careful about YA with 11-12 year olds. This looks like a great book! 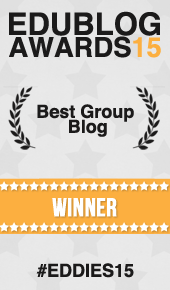 Thank you for sharing the review and the giveaway. Many of the readers in my classroom like to think of themselves as older than they are. This book may be a helpful glimpse into their futures. Many thanks. I remember wanting to skip my teenage years, sounds like a rich and relatable character and a fun book to add to my list. Great review. Looking forward to reading this book! Looking for a new social issue read aloud, this just might be what I was waiting for! love love love new books for my readers!! Sounds like the type of book that would hook my struggling readers. I always love a great book! Sounds like a good read. I felt connected because I have some students who are currently dealing with those issues. I love when they are able to read books that they make good connections to. Also, as a writers it gives them support to share their stories.